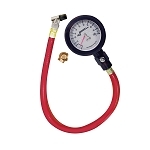 JOES Digital Tire Pressure Gauge provides top quality at an affordable price. Nice size backlit numbers are easy to read even at night. PSI setting can easily be changed to Bar. 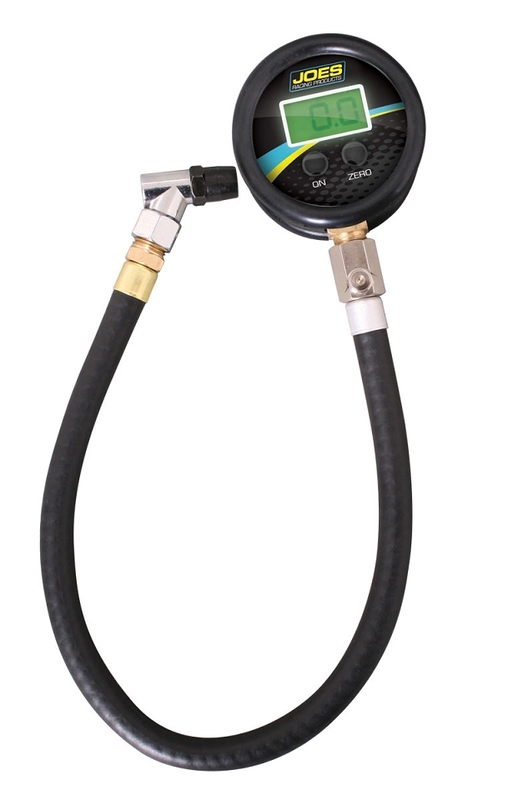 Great accuracy is built into this versatile gauge. Laboratory Calibration to 1% Accuracy at .1 resolution. As with all of our gauges, we provide a chrome factory installed angle chuck and we included a ball chuck in the package so you always have the right fitting for your application. Why worry about buying the right kind of chuck? We give you both! 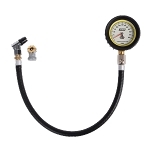 Look at JOES-32435 for the 60 PSI Version!